Upon selecting these two options, the command now makes a selection of blocks within each polgon and presents the quantities in a separate table of its own. This option was added based on a feedback from a user who wanted to generate room-wise quantities in an architectural drawing based on closed polylines which represented different room areas. The CP_CALCAREA command now has an option to determine if the polygon numbering must appear along with the area annotation or not. If this option is chosen, each polygon is numbered as 1, 2, 3... and the same is displayed in the table as well. The option to control the numbering in the drawing offers better control over how the output is presented. The numbering in the table is logical and appears always. If you don't want it in the table, simply delete the column. The GT_3DOFFSETSECTION command has been significantly improved and bug-fixed as well. It is used to offset a 3d (or even 2d) polyline along the defining points of a 2d cross-section, in such a way as to create a 3d model of the same. This is an extension of the existing GT_3DOFFSETSLOPE command that where only one side slope can be defined. The section option sweeps a 2d cross-section along a 3d (or 2d) polyline in such a way that a full 3d model is generated. It is also possible to create a 3D DTM of the swept path surface using 3dface objects. This tool is very handy to sweep the cross-section of a road or an irrigation channel or a duct along an extrusion path (or long section in case of civil projects) and create a 3d section of the same very quickly. The generated output are 3d polylines which are useful in design calculations or 3dface objects that are useful in visualization. you could only place along existing cracks. The GEOL_PLACEDIPSTRIKESYMBOL command is used to place a dip / strike symbol. This is a block which has a default name of GEOL_DIP_STRIKE and is stored in the GeoTools installation folder. It has a standard dip/strike symbol representing two perpendicular lines, representing the dip and strike directions. The dip direction is the shorter of the two. GEOL_DIP_STRIKE: This is the default block defined by GeoTools. It has two attributes: DIP_ANGLE_FROM_HOR and DIP_AZIMUTH,and has its rotation angle drag direction along the strike direction. GDH1_DIP_STRIKE: This is a block which has been copied from a now-defunct Geology software called GEOL_DH which is popular in some parts of East Europe. This block does not cottain any attributes and has its rotation angle drag direction along the dip direction. GDH2_DIP_STRIKE: This block is similar to the GDH1_DIP_STRIKE block but defines two attributes: DIP_ANGLE_FROM_HOR and DIP_AZIMUTH and has its rotation angle drag direction along the dip direction. Do not modify the geometric definition (orientation) of thes blocks as the program depends on its original definition and orientation to compute the dip and strike azimuths. Place manually (free standing): Choosing this option allows you to place the dip-strike symbol on a blank area. For this command to be effective (and correct), you must choose the block named GDH2_DIP_STRIKE or GDH1_DIP_STRIKE. Place manually (on cracks): Choosing this option allows you to place the dip-strike symbol manually on an existing crack. A crack is defined as a polyline, line or spline entity which progresses from one point to another along the terrain. For this command to be effective (and correct), you must choose the block named GDH1_DIP_STRIKE or GEOL_DIP_STRIKE. Place automatically (on cracks): Choosing this option allows you to place the dip-strike symbol automatically on existing cracks. A crack is defined as a polyline, line or spline entity which progresses from one point to another along the terrain. Multiple cracks can be selected and the command will place the dip-strike symbols along them. For this command to be effective (and correct), you must choose the block named GDH1_DIP_STRIKE or GEOL_DIP_STRIKE. 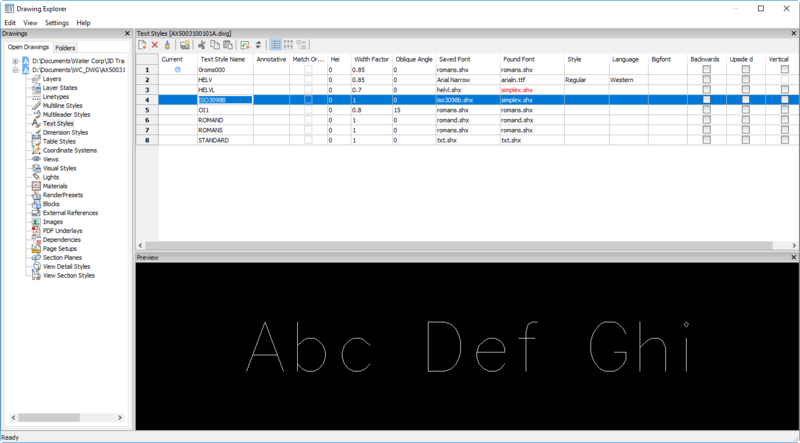 In this mode, the command will place dip/strike symbols across a selection of cracks with a condition that atleast one symbol is placed within a defined square window (which is also called the net size). You must select crack/discontinuity lines and also specify the layers where the cracks, net grid etc must be created and the dip/strike symbol will be created accordingly. Please be aware that the dip and strike azimuths are implicitly stored in the direction/angle of insertion of the block. The direction of the longer line determines the strike direction, and the direction of the shorter perpendicular line determines the azimuth direction. The inclination of the dip (the angle it makes with the horizontal) is stored as an attribute DIP_ANGLE_FROM_HOR within the block. It needs to be manually entered by the user using either attribute edit commands or using either any of the tools provided in GeoTools or in the GEOL_PLACEDIPSTRIKESYMBOL command dialog box itself. The GEOL_UPDATEDIPAZIMUTH command is used to update the dip azimuth attribute value in the block based on the current rotation angle of the dip-strike block. The program identifies the block based on its name and determines how the value must be correctly updated. Building Information Modeling (BIM) is perhaps the most-overused and least-understood terminology in the AEC CAD world today. None out of ten users who say they use Revit have just installed it on the PCs, played around a bit or just talk about it, simply because it is fashionable to do so. There is a serious lack of understanding, and this is primarily because companies do not have the time to learn and train for it. The reality is that serious BIM implementation is really low and limited only to some large companies and architectural practices, more often than not when a big vendor has "implemented BIM" into them. BricsCAD BIM is trying to change the game and make it easier for smaller companies to understand and embrace BIM. It is not an easy task but not an impossible one either. It requires a change in mind-set, and the ability to own software on a perpetual basis at the right price point. BricsCAD BIM shows the way how you can do things the BIM way. In this post, I attach three blog posts ,  and  from Bricsys blog in the form of PDF files which make it easier for you to pass this around to your friends, foes and colleagues from the AEC-CAD industry. Before I close, I would also like to remind you that we have a BricsCAD webinar hosted by Heidi Hewett today at 1930hrs Indian Standard time. Do join in. June 26th, 2018 at 1930-2000 hrs Indian Standard Time and a repeat session again at 0130-0200 hrs on June 27th, 2018. Heidi Hewett has been on an over-drive since she joined the BricsCAD bandwagon earlier this year. She has been at the new job for over 2 months now and as she learns BricsCAD and understands the underlying frequencies of the BricsCAD platform, she has created a series of 20 blog posts that take you from the very basics - download, install, setup trial and start using and understanding BricsCAD. Each author or blogger has their own unique style and approach. Heidi's style of blogging is to teach and explain how to do it, and not just demo or tell what it can do. In this post, we bring to you the complete set of 20 posts that marks the completion one journey: that of the Classic editor of BricsCAD .dwg platform. The BricsCAD webinar series by Heidi Hewett is back again, for all of you who missed it last time. It is on two consecutive days, twice a day. So, you have plenty of slots to choose from. June 27th, 2018 at 1930-2000 hrs Indian Standard Time and a repeat session again at 0130-0200 hrs on June 28th, 2018. For our users in India, it is convenient to catch the webinar from the comforts of your home or on your mobile devices at 07:30 PM in the evening. Do make the most of these webinars and let us know if you have any questions. The two webinars are spaced 6 hours apart and is designed to capture the business hours of the Americas and a part of the business day in Continental Europe. Thank you Heidi Hewett for your efforts & congratulations on your debut BricsCAD webinar! We are happy to announce that our web-site www.thedesignsense.com has been completely re-designed to re-focus on BricsCAD and provide you with maximum information, minimum search and navigation. We have followed a simple HTML structure that gives you all the information you need about our activities: BricsCAD, BIM, MCAD-3D, GeoTools, CADPower and the likes. 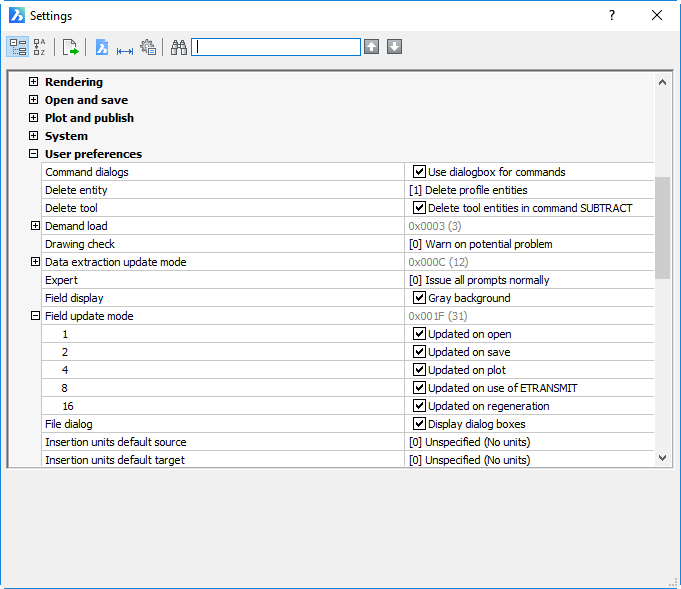 Rather than duplicate what is on www.bricsys.com, we have chosen to just highlight and tell you stuff that complements what is on the BricsCAD site, stuff that users have asked us in the past, and what we believe are not easily found on the Bricsys web-site. Take a quick tour of our web-site and by the way, it is still developing and evolving. The BricsCAD webinar series is back and this time, it is Heidi Hewett presenting us the first of her webinars today, June 19th, 2018 at 1930-2000 hrs Indian Standard Time and a repeat session again at 0130-0200 hrs on June 20th, 2018. The repeat session is not so conveniently timed in India, so make sure you catch up with the first one. Not a very convenient time in India unless you are find it normal to be awake at that time. re is a repeat of the live webinar again exactly after six hours later and it happens in the middle of the night in India, 01:30AM - 02:00 AM . For those of you who are awake at this hour, you can catch up with BricsCAD in the peace of the night. In these two posts, I am carrying a reproduction of the posts from Steve Johnson's blog CAD Nauseam, with full permissions and credits. The reason I have decided to reproduce this because I am fully in support of what he writes and have, in fact, advocated the same many times to my customers and have also written a similar piece in one of my earlier blog posts, Why Lisp Programming is Better in BricsCAD than AutoCAD. Of course, that was about Lisp programming them, but it all adds up to a similar situation. Don Strimbu and Matt Olding are back again. Bricsys is hosting a series of webinars on June 6th, 7th, 13th and 14th and the topic is "BricsCAD in 20 minutes". The webinar is planned on two days in the coming week and the first one is on June 6th, 2018, 07:30 PM - 08:00 PM Indian Standard Time. There is a repeat of the live webinar again exactly after six hours later and it happens in the middle of the night in India, 01:30AM - 02:00 AM . For those of you who are awake at this hour, you can catch up with BricsCAD in the peace of the night.